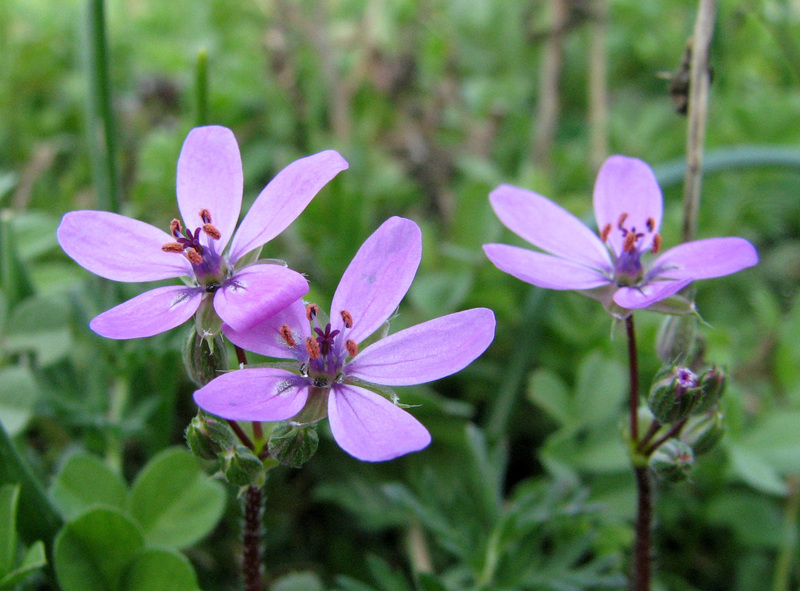 Botanical name: Erodium circutarium (L.) L'Her. ex Aiton. 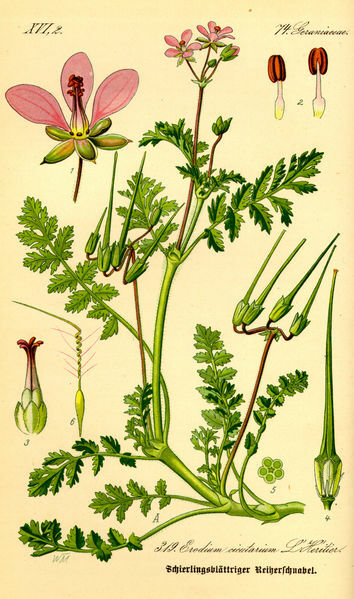 Flower: 2-8, long stalked, umbels, purplish to pink or white, 3/8"-1/2"
Misc. 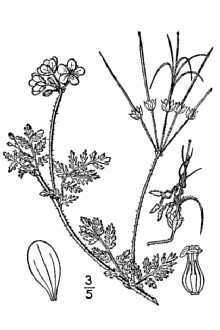 Plant food for the larva of the Brown Angus butterfly.